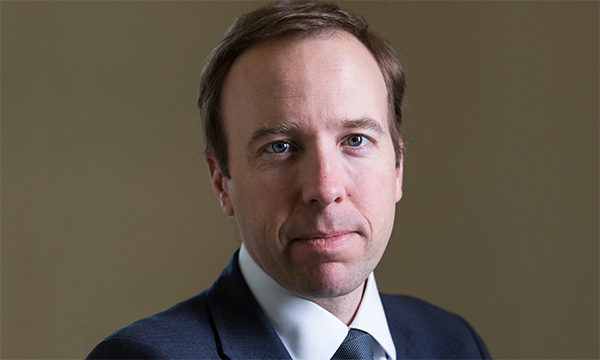 Prevention is at the core of a new long-term plan for the NHS, with a shift in focus to primary and community care, the health and social care secretary has announced. On Monday, Matt Hancock said the UK spent £97 billion of public money on treating disease and only £8 billion preventing it, figures which did not ‘stack up’. During his speech to the annual meeting of the International Association of National Public Health Institutes in London, he also launched the document, Prevention is Better than Cure: Our Vision to Help You Live Well for Longer. This policy paper sets out the government's vision for preventative care. It highlights the need to recognise the importance of district nurses ‘and other generalists’, who are well placed to plan for treating the whole person and not just individual conditions. To support primary care, Mr Hancock said GPs need to work more closely with professionals such as community nurses, either in the same building or collaborating virtually as a network. Today Mr Hancock spoke at think tank the King’s Fund’s headquarters in London, where he expanded on plans to boost social prescribing – which involves healthcare staff referring people to a range of local, non-clinical services. He said there would be a national academy for social prescribing to encourage fewer drugs prescriptions and greater use of the arts, as part of a shift towards 'person-centred’ remedies. RCN professional lead for public health Helen Donovan welcomed the focus on prevention, but warned that the plans would start at a disadvantage because local authorities are struggling with planned cuts to public health budgets until 2021. NMC interim chief executive Sue Killen said the regulator’s new education standards would give nurses a much greater understanding across all areas of public health.